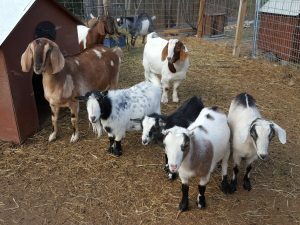 We have several goats for adoption. The “three amigos” on the right are about 1 year old and would love to find a home together. These 3 are inseparable. The black and white goat is a Pygmy doe. The multi colored one in the middle is a Pygmy/LaMancha cross. He is a wether (neutered male). 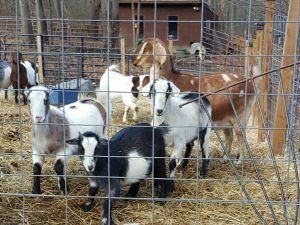 The goat on the right is a Nubian/LaMancha cross and he is also a wether (neutered male).